Lancashire-based chartered accountant Jackie Stopyra was faced with the stark reality of decreasing client numbers and fees, which were severely affecting her traditional accountancy practice. She says she knew that she needed to do something, but admits to being unsure about what to do for the best. Jackie found out about CheapAccounting.co.uk and since launching the franchise’s Preston office in September 2012, her fortunes have improved significantly. 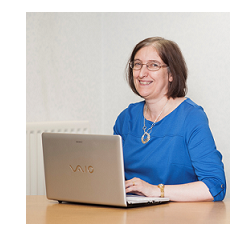 Interestingly, Jackie continues to run her traditional accounting practice, Davis & Crane Chartered Accountants, alongside her CheapAccounting online franchise. “The two practices complement each other nicely and now I’m able to attract business from a range of available channels, I’m not just relying on one or two. Things are looking much brighter than they were a year ago,” she smiles. We are looking for accountants to run our Locations, Vertical Markets, Corporate Services as well as our award winning on line practice.